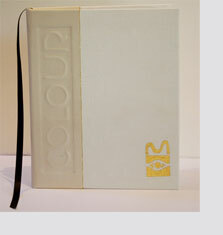 Matisse Structure for: Fine Art including cadmiums,(10), Art & Design (10) and Essential Colours (5). In coming workshops, I will be demonstrating these carefully chosen pigments - based on colour science, experience and aesthetics - allowing you to achieve the widest range of pure or subtle colour with the least difficulty. Of all mediums, Matisse Structure Acrylics provide the utmost creative flexibility, allowing for the greatest control over: transparency, translucency, opacity, surface bloom and texture. 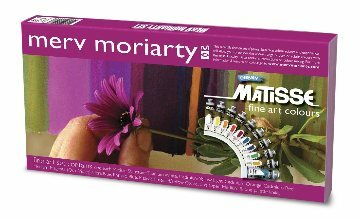 Fine art set contains one each Matisse Structure: Titanium White, Cadmium Yellow Light, Cadmium Orange, Cadmium Red Medium, Magenta (Quin Violet), Ultra Blue, Phthalo Blue, Matisse Emerald, Yellow Oxide, one Open Medium. 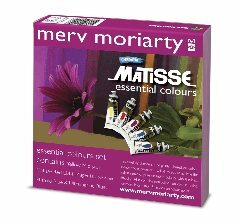 Essential colours set contains: Yellow Mid (Azo), Matisse Red Light, Magenta (Quin Violet), Phthalo Blue & Ultrmarine Blue. Art & Design Set contains one each Matisse Structure: Yellow Mid Azo, Matisse Red Light, Magenta (Quin Violet), Ultramarine Blue, Phthalo Blue, Matisse Emerald, Yellow Oxide; two Titanium White & one MM31 Open Medium. 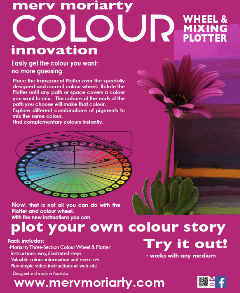 A new approach to colour mixing!